Investment Company: Esquire Investment Group, Inc.
Real estate issues, including broker and agent liability, consultant, loans, damages, documents, law, standards of care, transactions, claims, residential and commercial, short sale and foreclosure issues. Escrow, HOA, landlord- tenant, leases, mortgages and hard money loans, loan refinances, loan modifications, purchases, construction defects, and boundary disputes. Business broker issues, including liability, disputes, fraud, transactions and buy- sell agreements. Author: Nixon v. Fitzgerald: Recognition of Absolute Immunity From Personal Damage Liability for Presidential Acts, Pepperdine Law Review (1983), Number 3, page 661. Authorizes the representation of parties in real estate transactions, supervision of agents, and the receipt of compensation for representation of buyers and sellers. 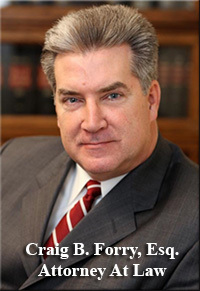 Authorizes the practice of law in all of the Superior Courts of the State of California. Authorizes the practice of law in the United States District Court for the Central District of California, including the U.S. Bankruptcy Court for the Central District of California. Provides daily decisions by the California Court of Appeal and California Supreme Court, and continuing legal education. Provides legal education seminars and monthly editions of the Valley Lawyer Magazine. Provides access to CRISNet MLS (Multiple Listing Service) matrix, risk management questions and answers and legal education, mediation and arbitration services to agents and brokers, and buyers and sellers. Provides access to a wide variety of benefits, business tools, real estate market data, educational opportunities and discount programs designed to help agents and brokers succeed in the present market. 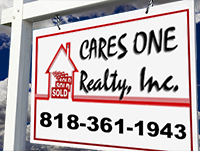 Provides tenant screening, rental forms, legal questions and answers, and monthly Apartment News and Buyers Guide. Dedicated to maintaining the highest standards in escrow through continuing education and legislative advocacy. Professional network of nearly 33, 000 residential real estate professionals from across the country and around the world, and provides agents with the tools, resources and strategies they need to help them guide buyers and sellers through the residential sale process. An affiliate of the National Association of REALTORS, it is dedicated to providing education, resources, information, and opportunities to real estate management professionals, and bounds members with the strictly Code of Professional Ethics. Twelve hours of DRE approved Consumer Protection continuing education. DRE approved Ethics continuing education. SRAR News, Southland Regional Association of Realtors, Inc. Apartment Management Magazines, Apartment News Publications, Inc.
Download a complete curriculum Vitae for The Forry Law Group by clicking here.